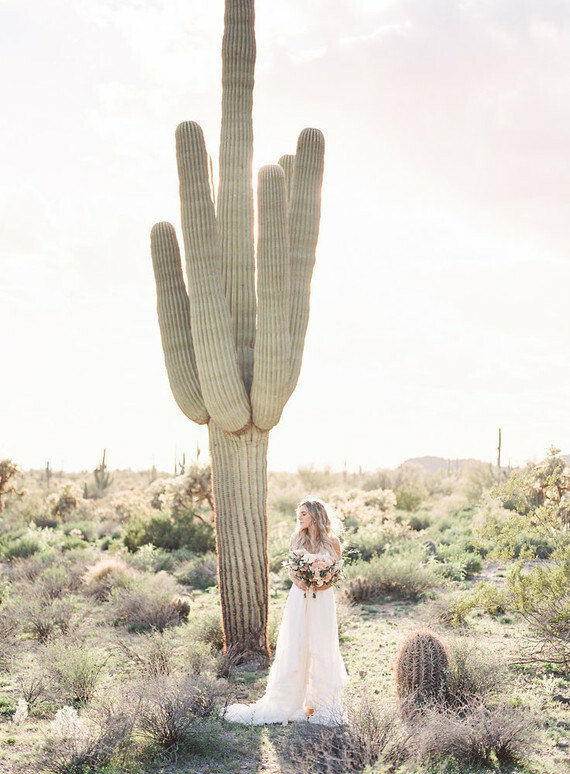 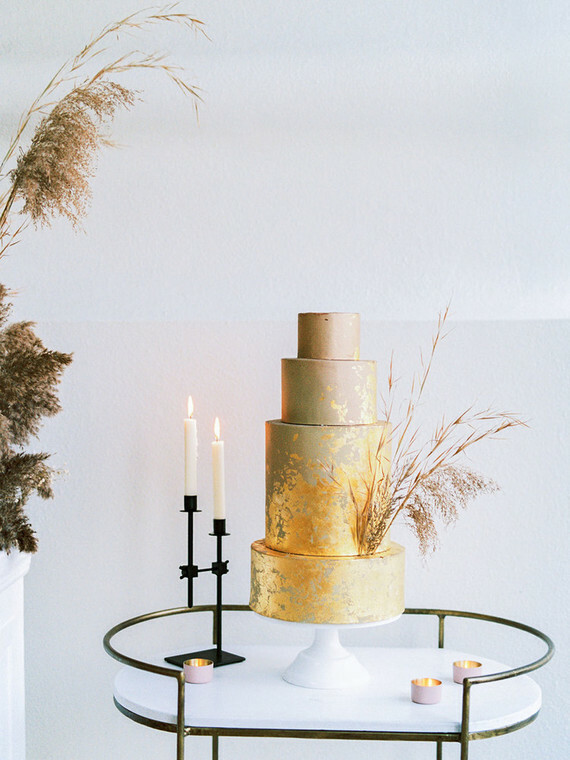 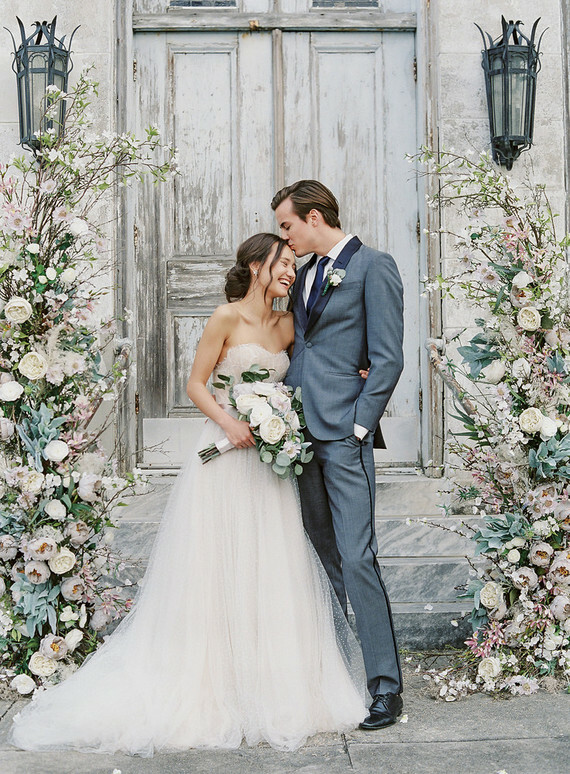 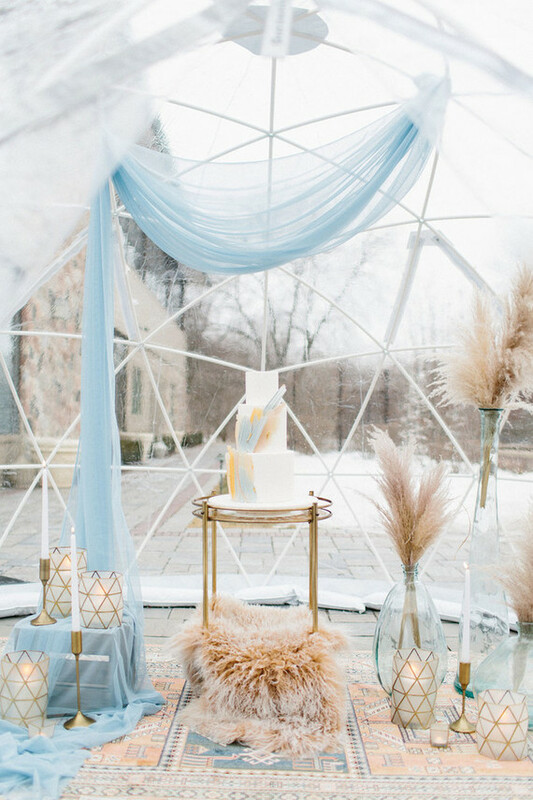 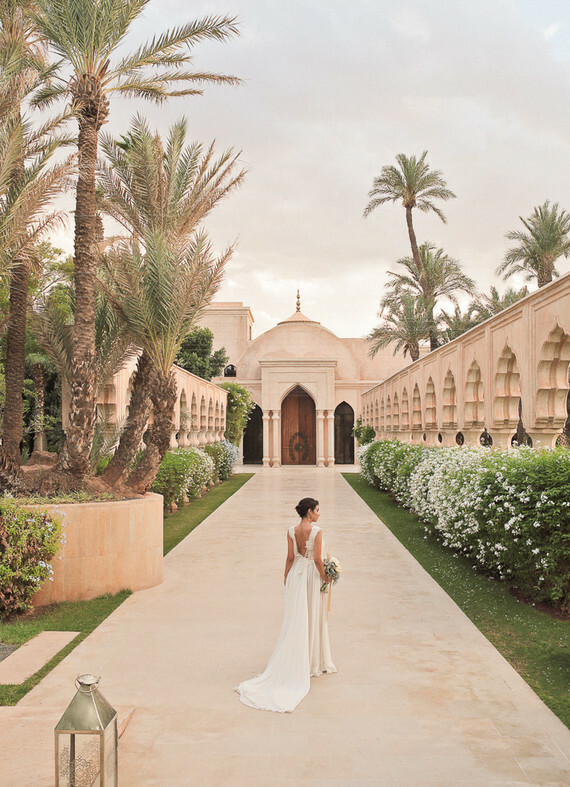 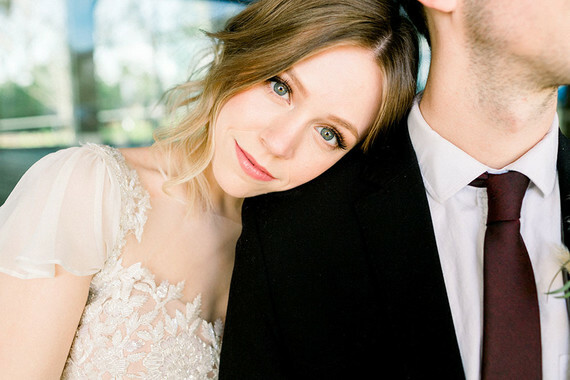 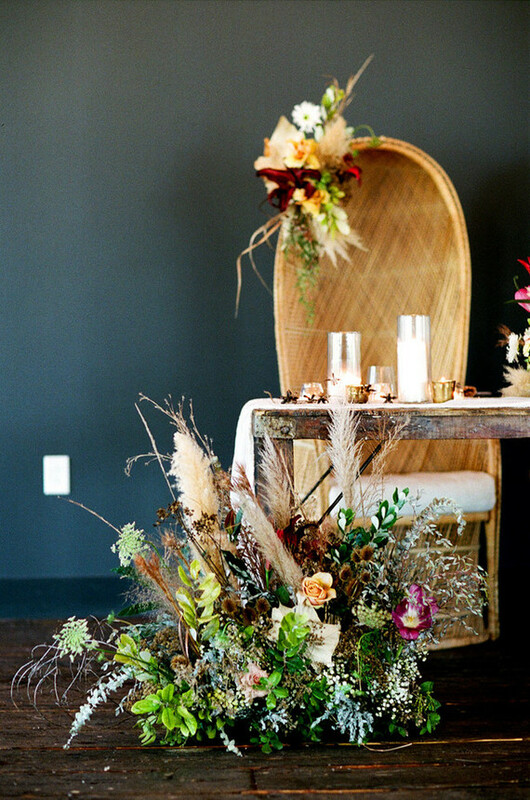 Remember the modern wedding ideas with a hint of boho we shared earlier this week? 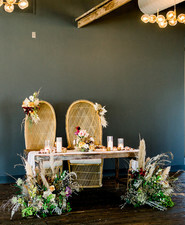 Let’s continue the theme with this urban editorial Kelly Jones Events dreamt up at Springdale Station in Austin. 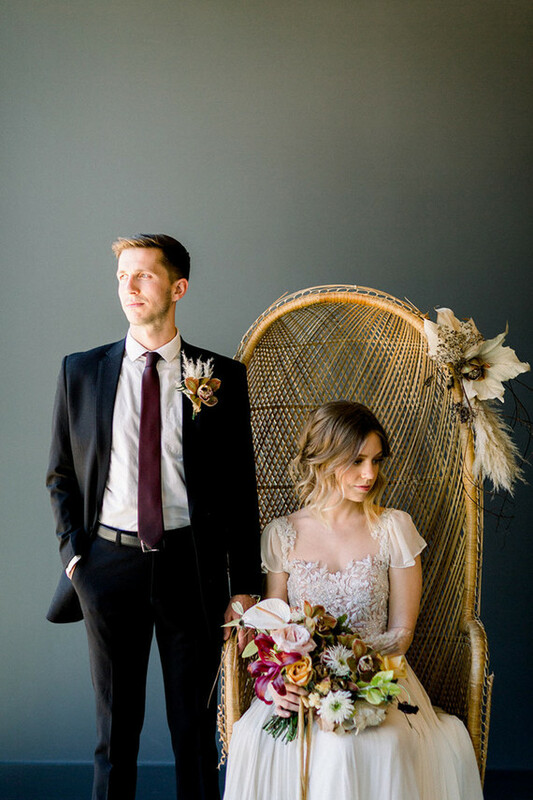 Besides the fact that these rad chairs are a total must-have for any bohemian affair, Katie J Photography‘s images show how romantic a wedding in the city can be. 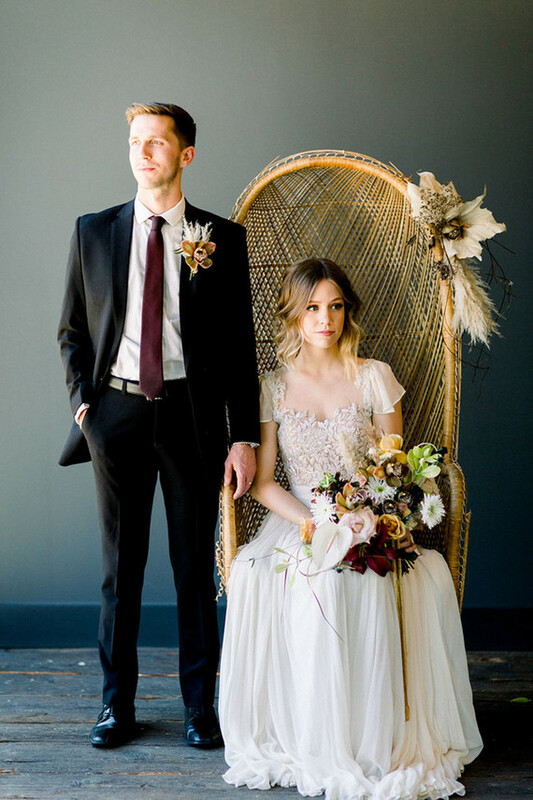 Loot Rentals supplied the coveted vintage rentals for this shoot. 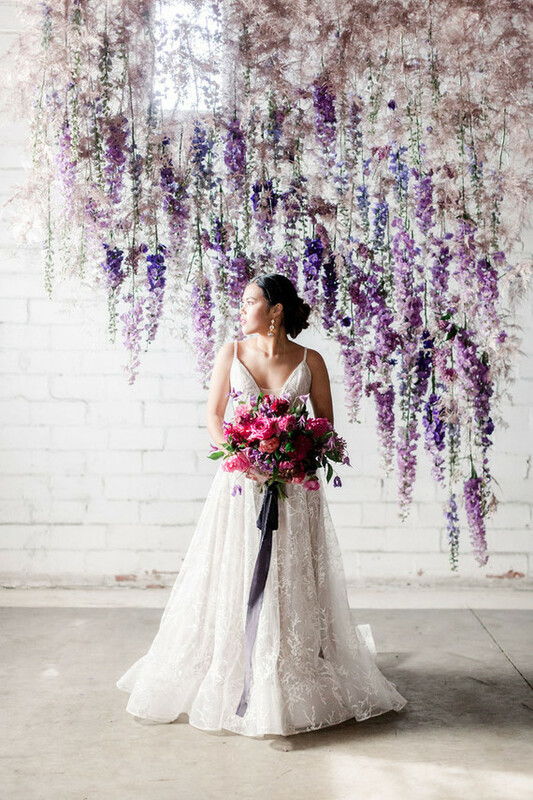 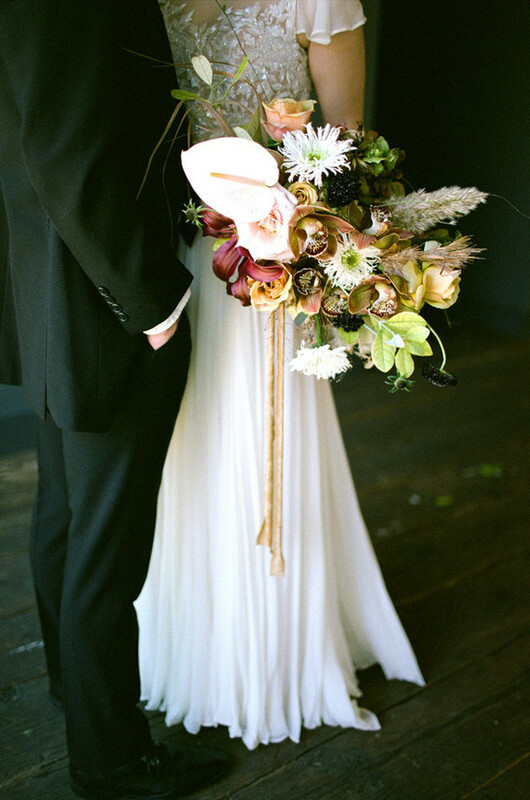 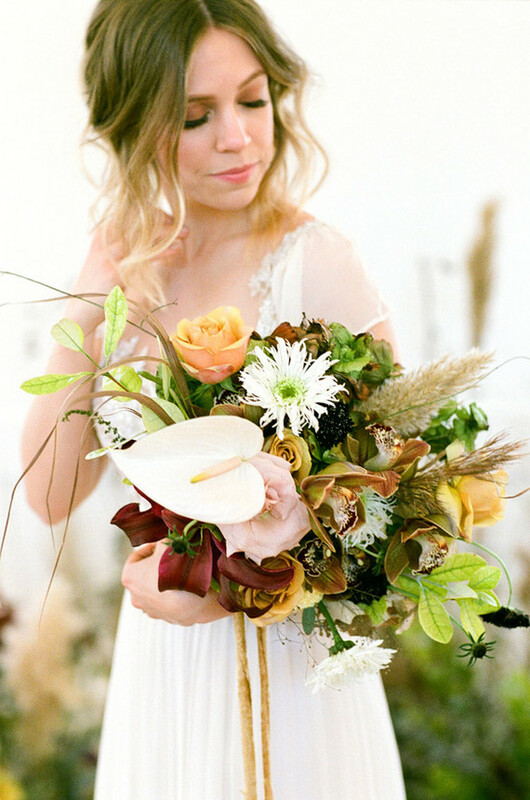 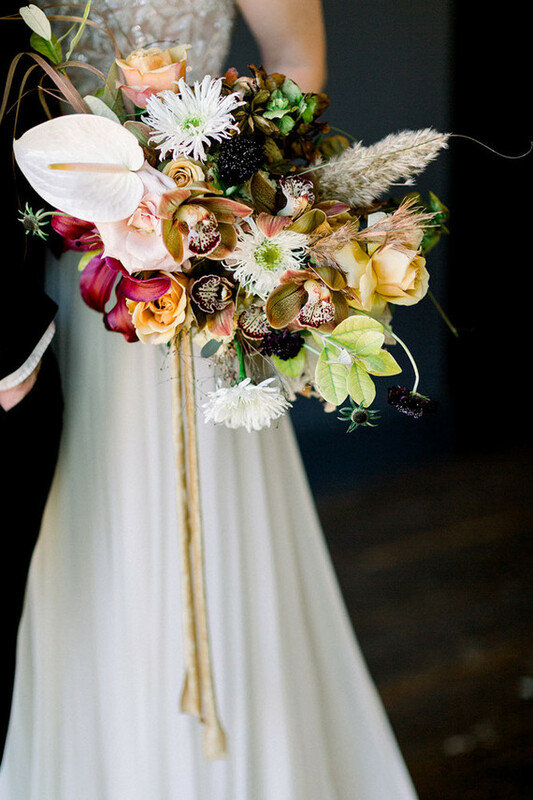 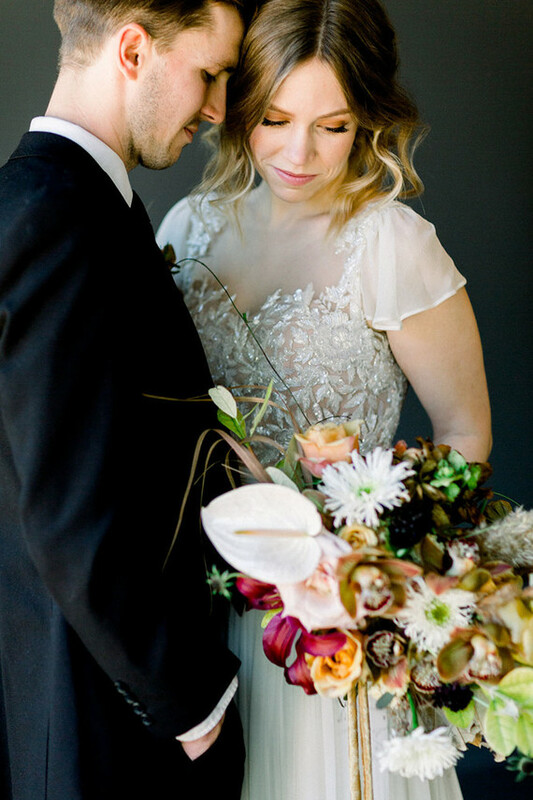 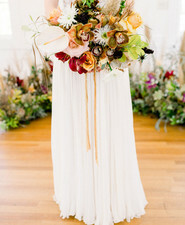 Such a gorgeous blend of blooms in this wild, bohemian bouquet by Mountain Laurel. 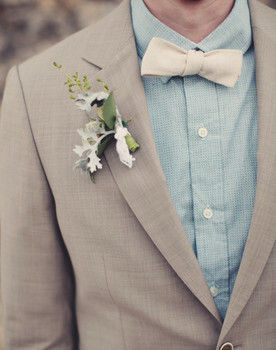 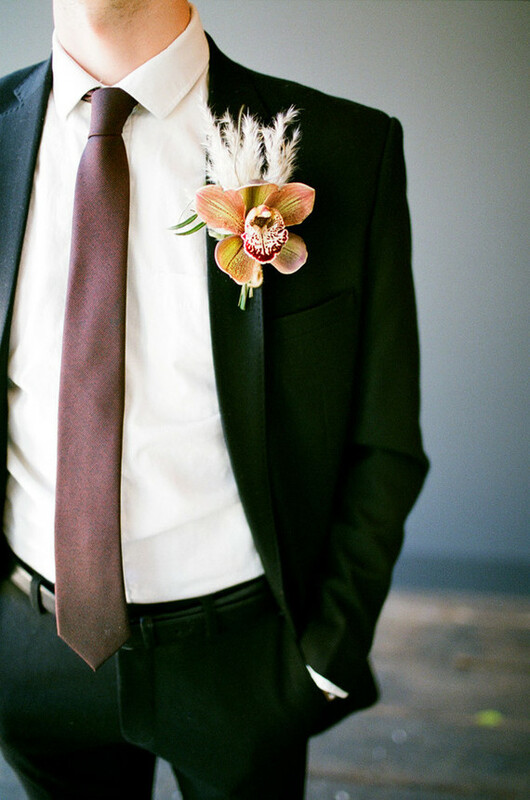 And makes for the perfect boutonnière, no? 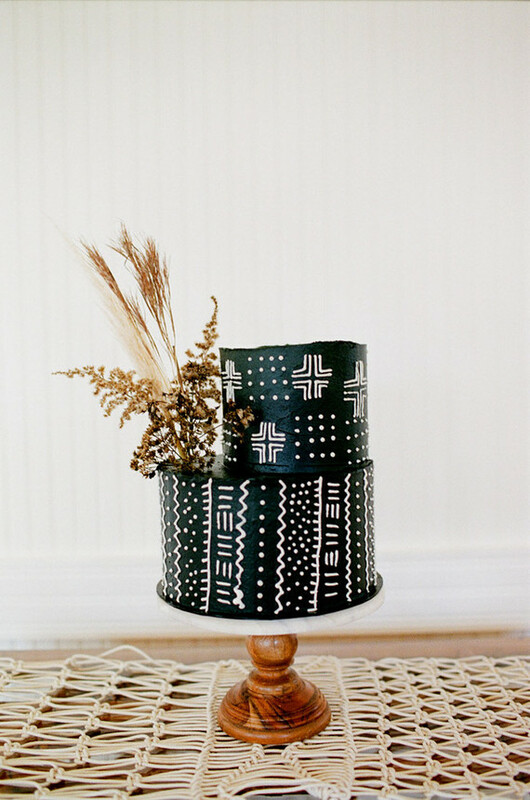 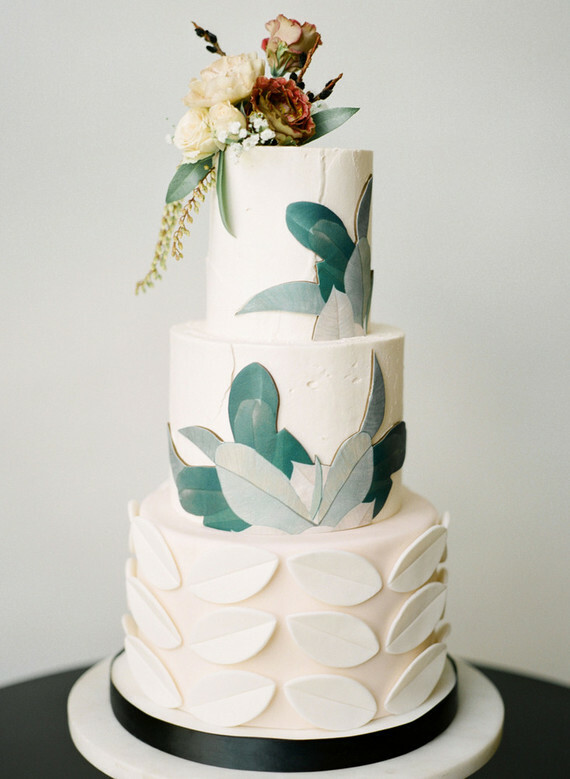 A mudcloth inspired wedding cake, how fun is that?! 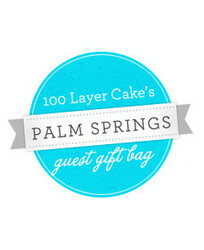 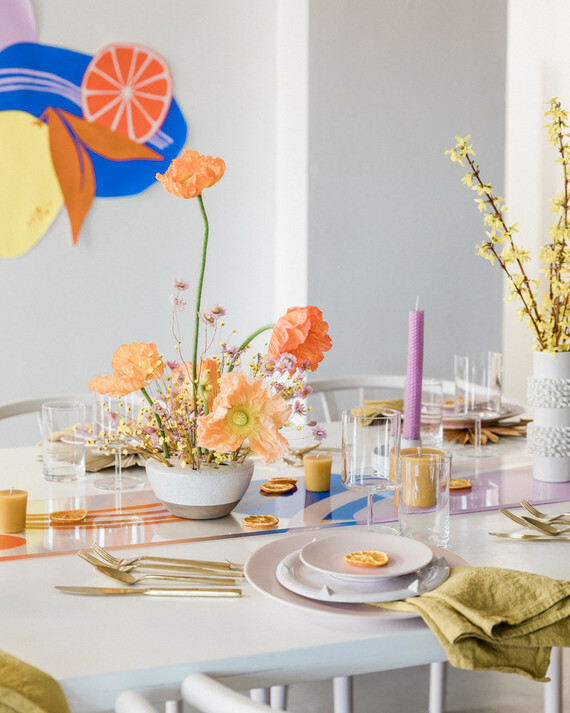 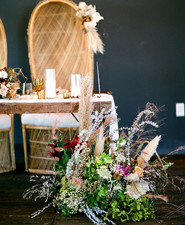 Feathers and Frosting created it to complement the boho modern design. 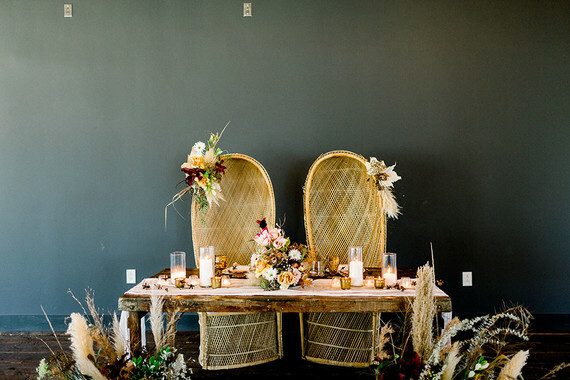 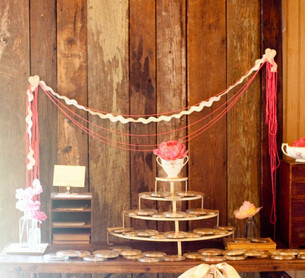 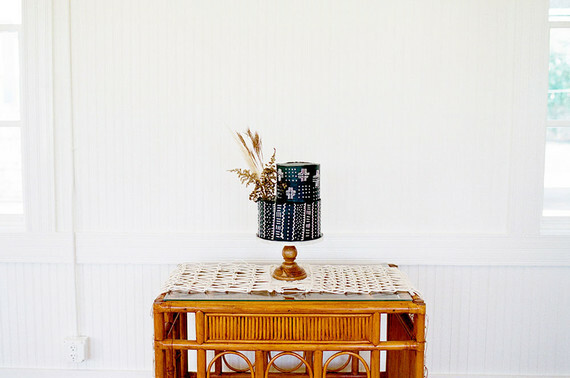 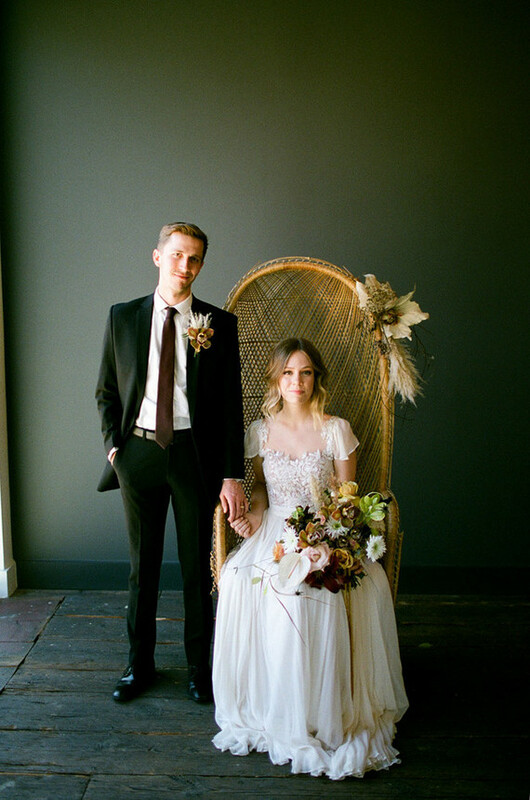 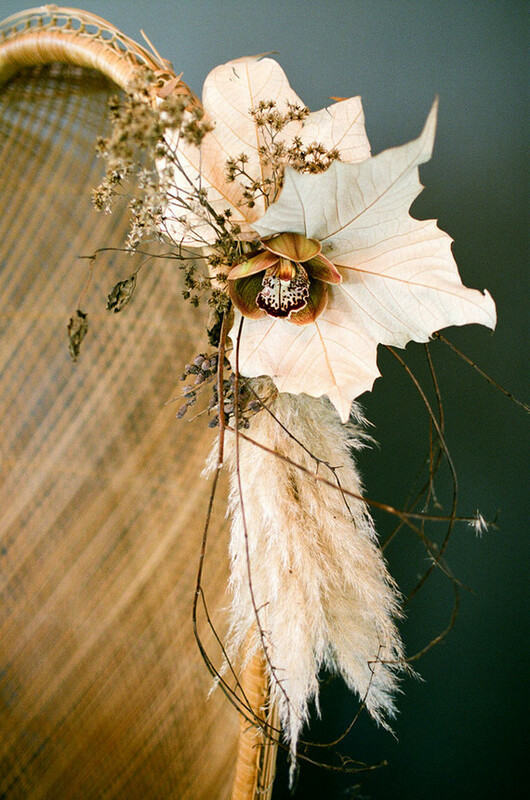 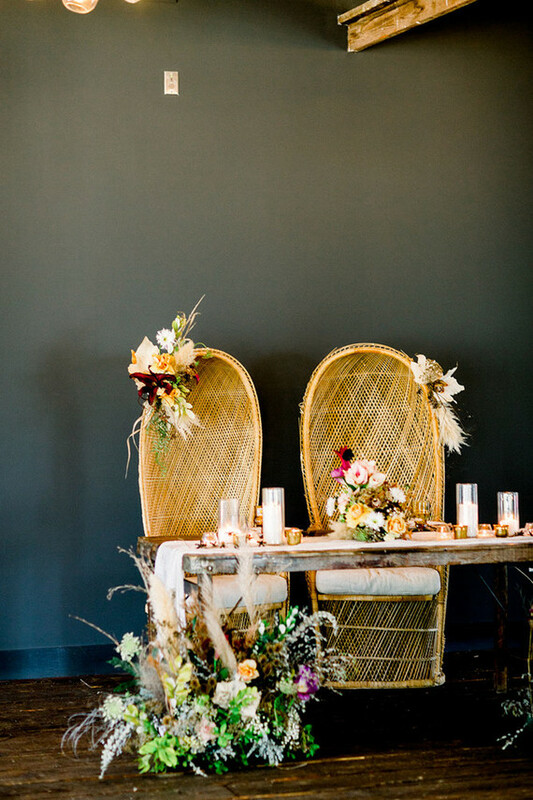 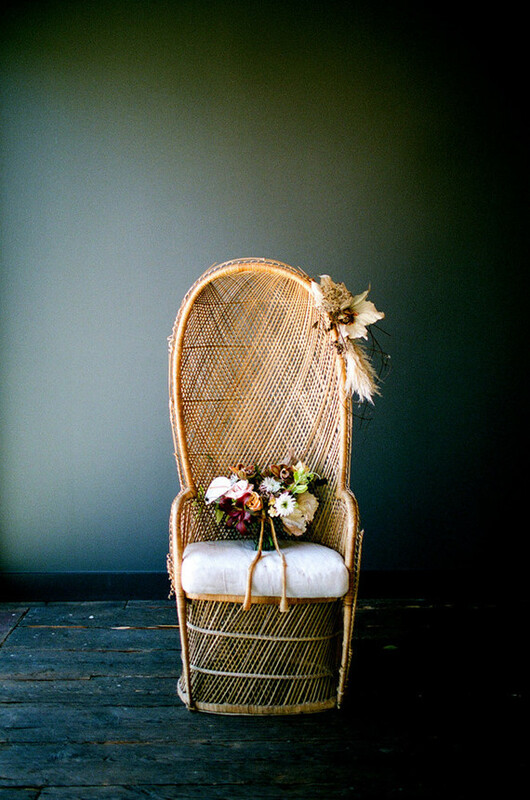 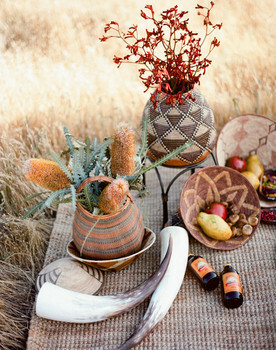 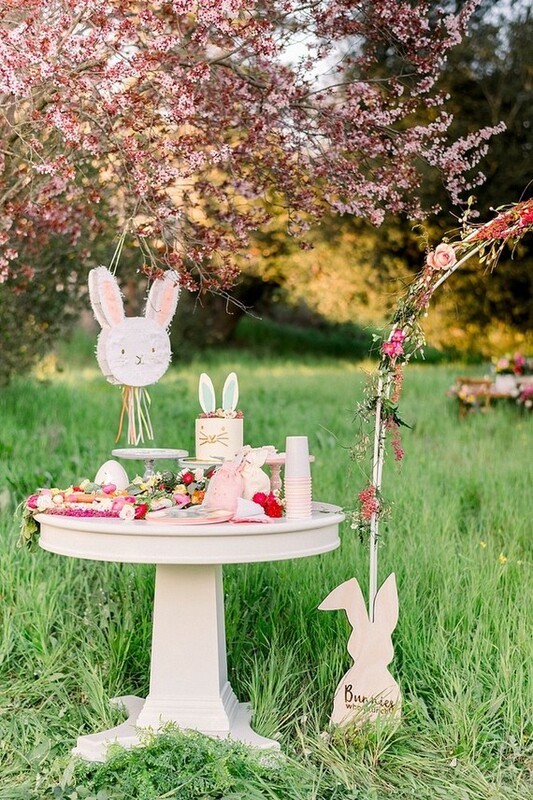 Kelly of Kelly Jones Events says, This vintage boho shoot was inspired by my current love of rattan. 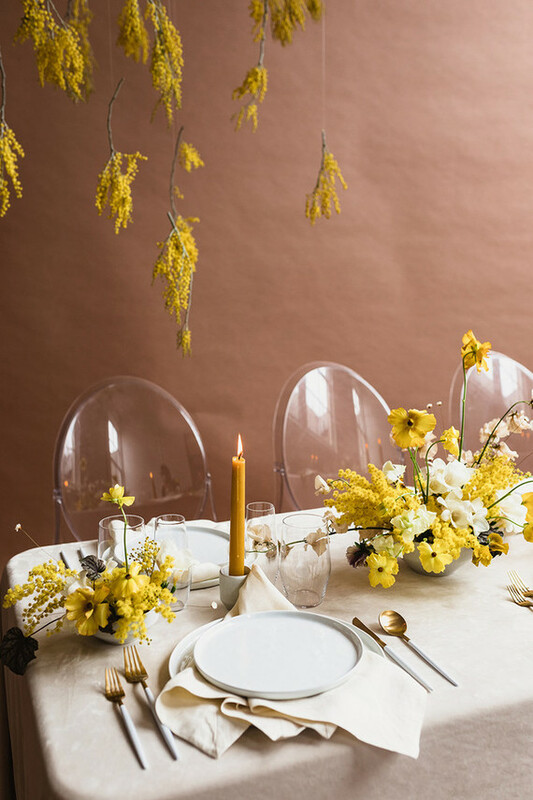 I love mixing new and old elements in my shoots, which I think really shows—just look at the mix of vintage and modern glassware on the head table scene. 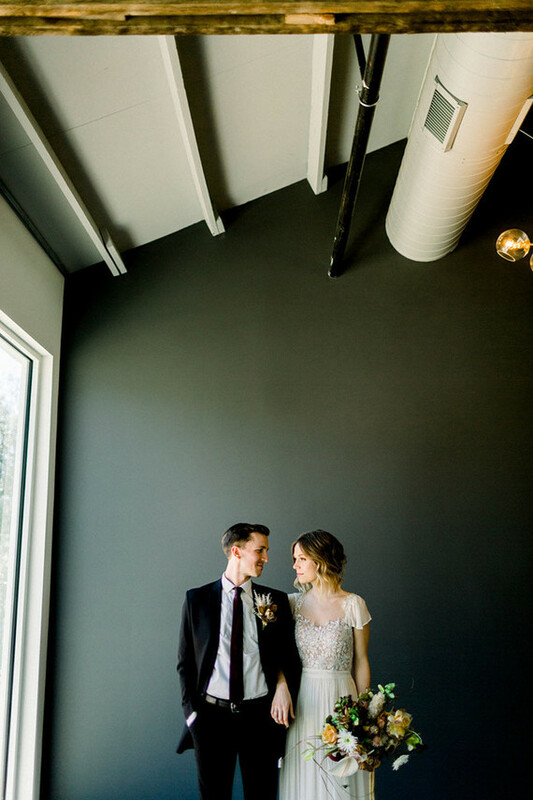 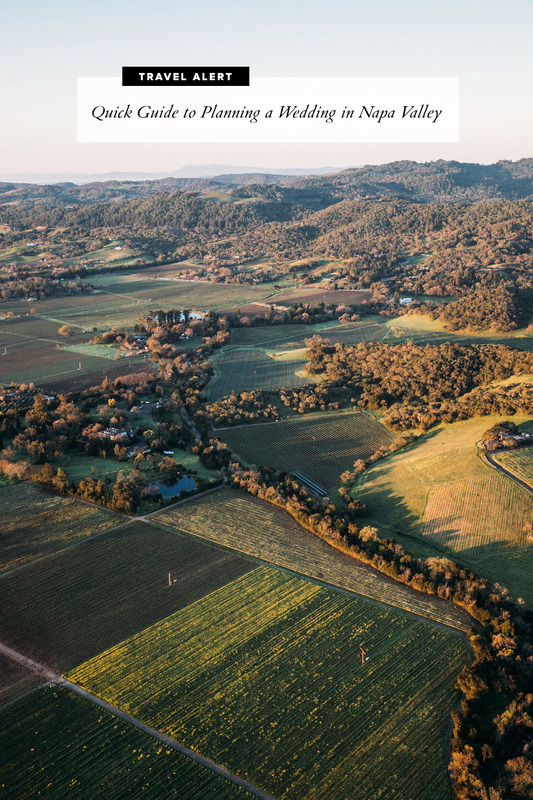 I fell in love with our venue for the shoot, Springdale Station, as soon as I saw it. 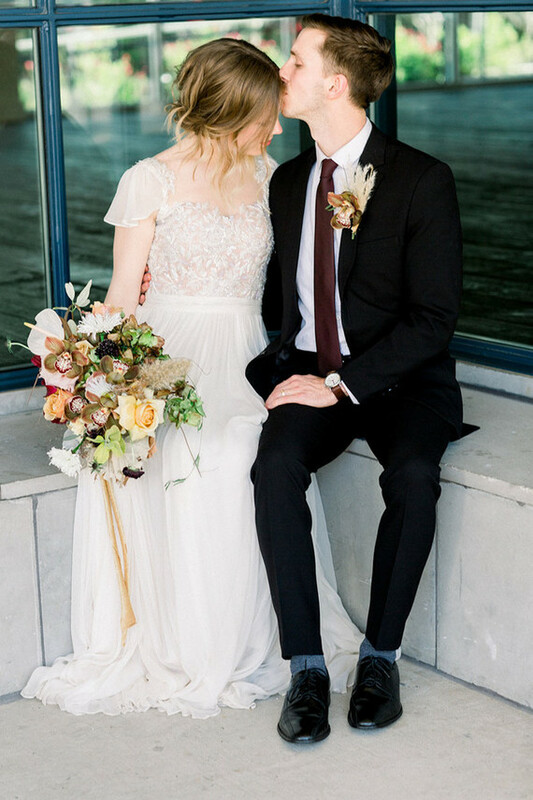 I loved that it used to be a train station, and has since been reborn into a beloved Austin, TX wedding venue! 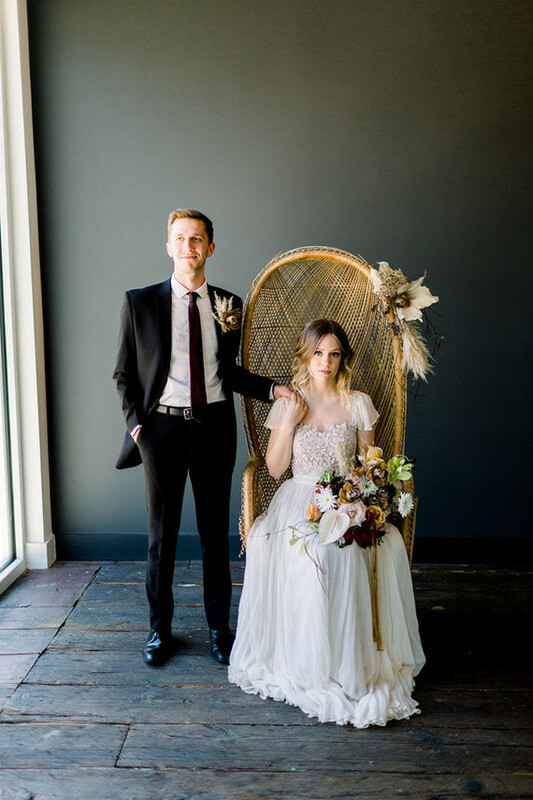 Such lovely portraits. 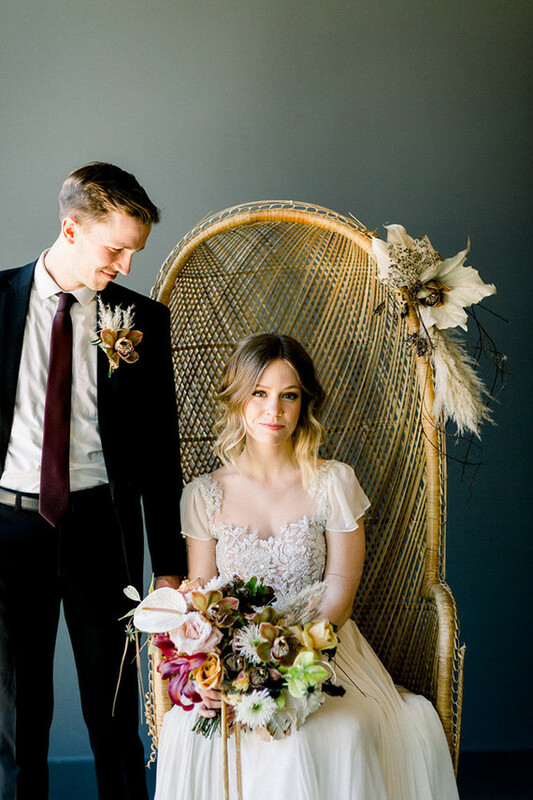 See more in our gallery! 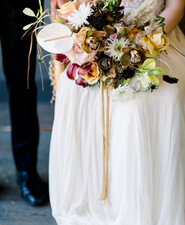 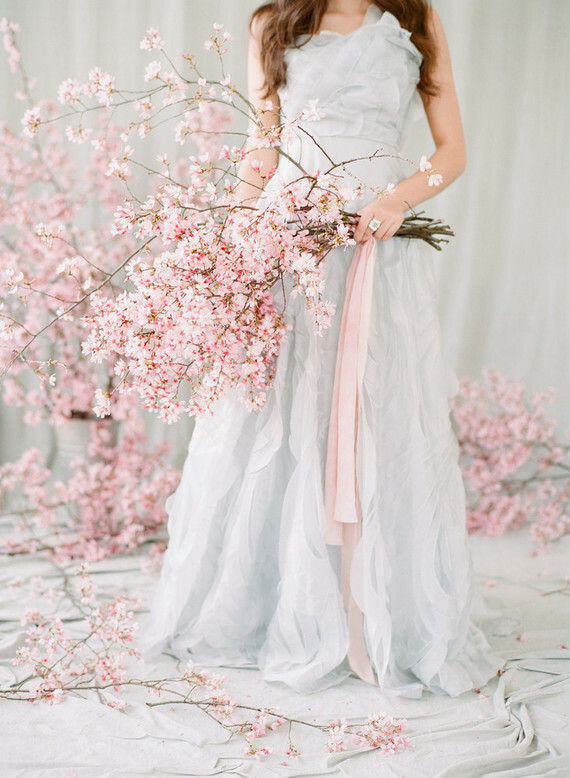 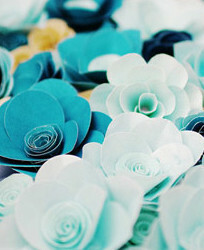 My models are also amazing florists, Earl Grey Floral, who I’ve actually had the pleasure of working with before. 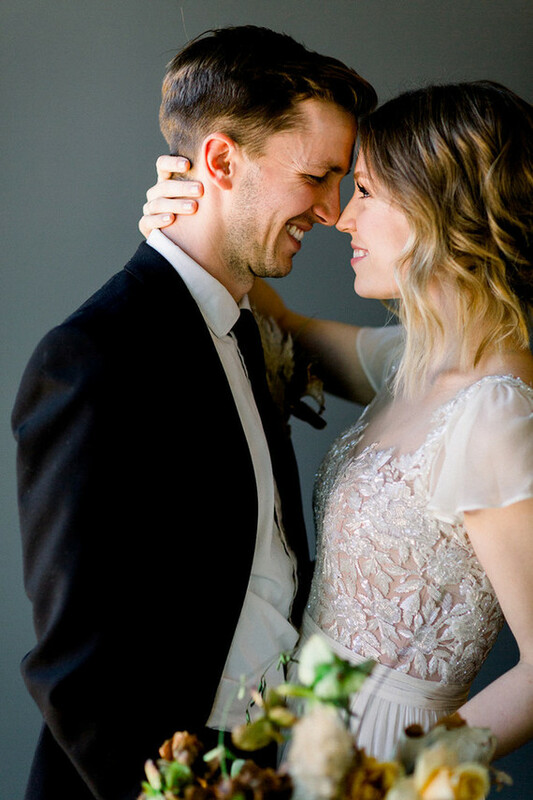 It was such a treat to get them behind the camera this time, instead of working in the background! 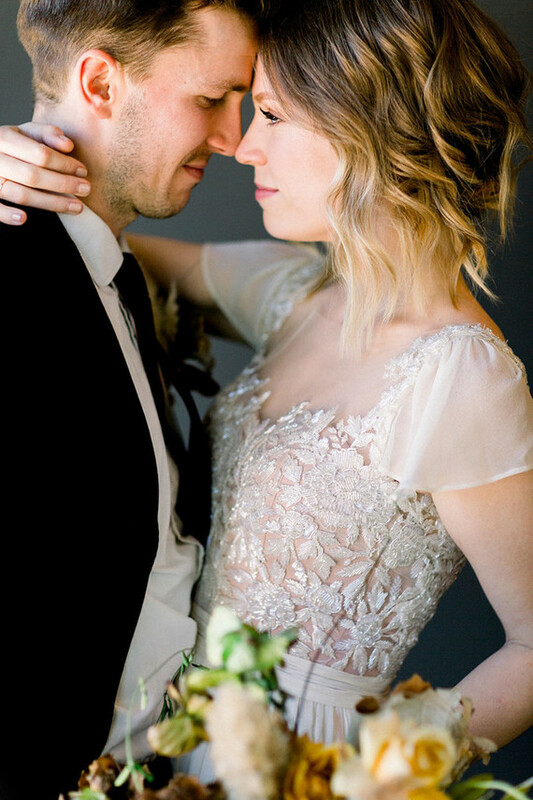 They are such a beautiful couple and I am so thankful they wanted to participate in this shoot with us! 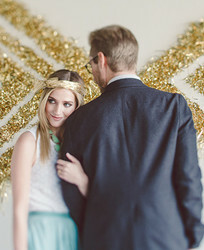 And, as always, Makenzi Laine killed it on the hair and makeup for this shoot! 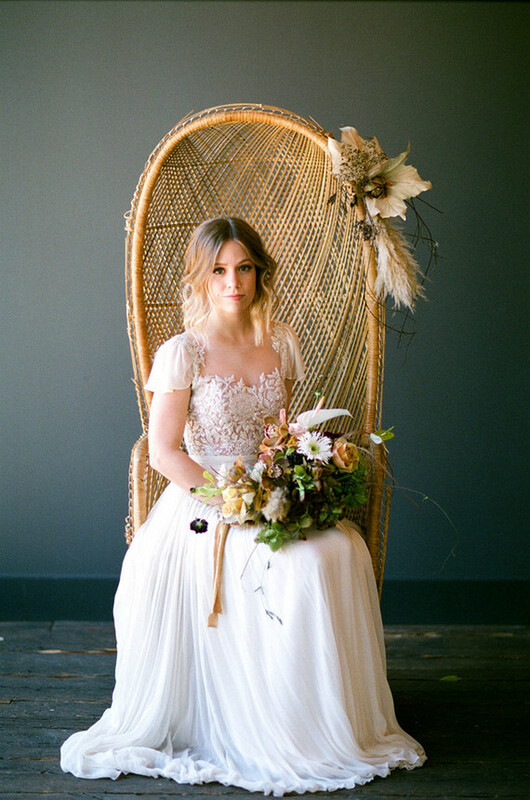 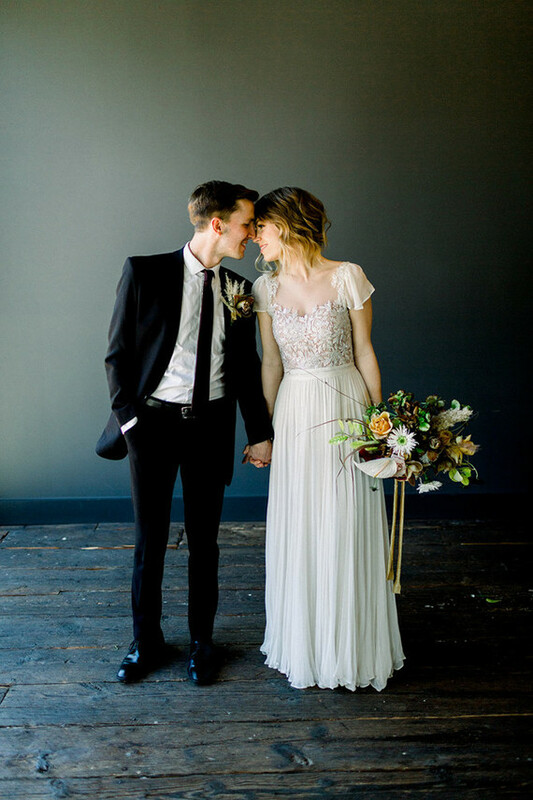 Congratulations to Kelly + Katie and the team below on a successful urban boho shoot!